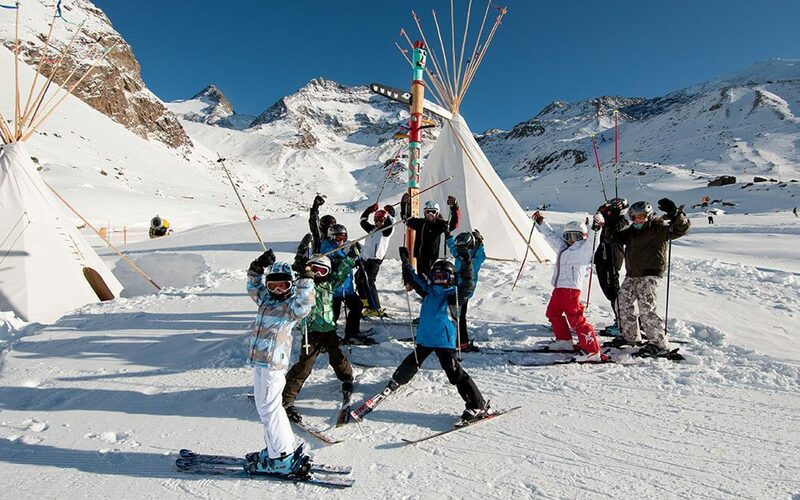 When planning a family ski holiday, regardless of the age of your children, there are a few general ‘rules of thumb’. Try to book a resort with a short transfer time from the airport (unless you are planning to drive) and if you can, book family-friendly accommodation that is ski-in ski-out. No one likes a long walk to the lifts, and when you’re little, skis and boots are that much harder to cope with. Try to book your family ski holiday during the warmer months of the ski season if possible; March and April offer longer, sunnier days on the slopes and are more enjoyable for all. Lots of ski resorts these days are car-free, which makes for a safer environment for your family, and choose a ski resort with plenty to do off the slopes: whether that’s play facilities for younger children or fun activities for teenagers. If the lifts are closed or you want a day off, you’ll be pleased to have a contingency plan to keep the family entertained. 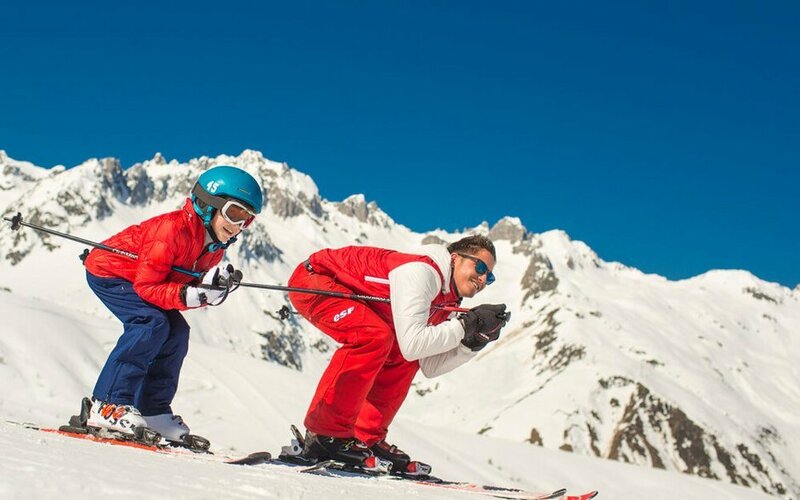 Our experts are here to answer all your questions and help guide you through the process of booking the perfect family ski holiday, but here’s a few more pointers. When children are really young, it’s important that a family ski holiday is simply a fun, snowy, winter holiday building snowmen and drinking hot chocolates. The best family ski resorts have facilities to help toddlers start to become accustomed to the snow, such as slides and other fun features so they can play outside while wearing all the gear. Snow suits, hats, gloves and sunglasses are quite bulky when you’re very little. Our experts can help you source a family-friendly chalet, hotel or self-catering apartment set up for young children, that can make your life easier by offering milk and special meals; nappies, bottles, sterilisers, toys and all the extra bits that will reduce your packing list. We can also help to arrange childcare with experienced professionals, to allow parents to enjoy a few hours out skiing alone, as well as baby listening or babysitting services to give you the odd evening out. 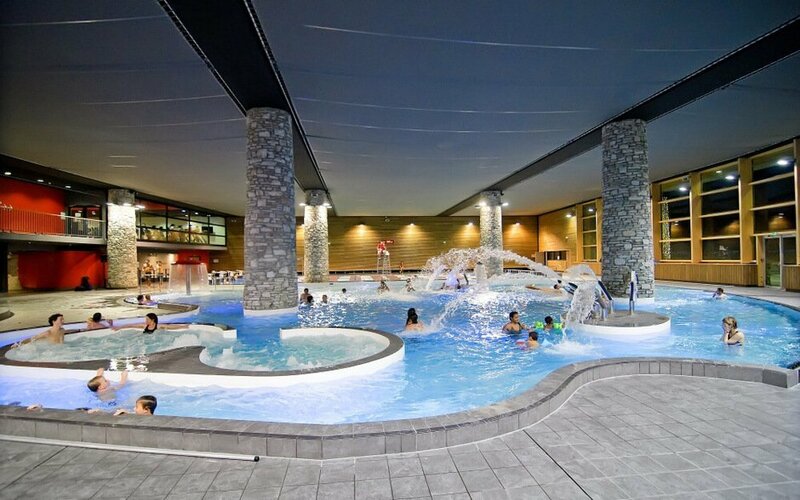 If you can, choose accommodation with a swimming pool on site; little ones love a pool and playing in the warm water has the double benefit of helping parents ease tired legs. 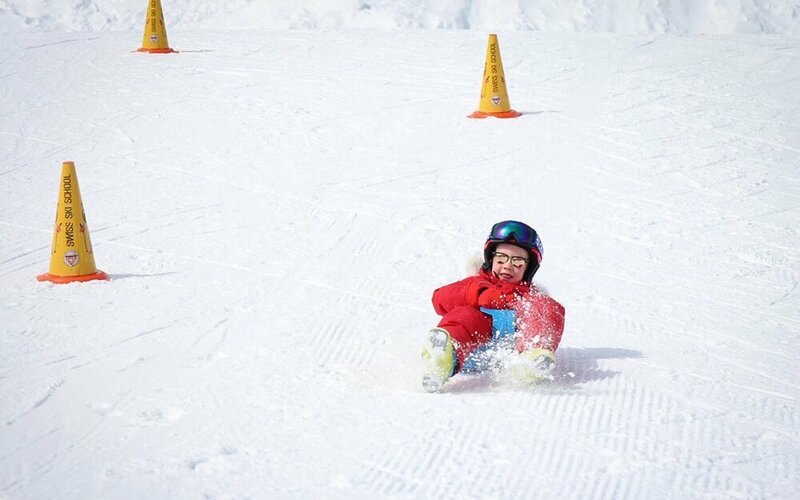 Most ski schools will take children once they are out of nappies, but three years old is a good time to start. Even until they are teenagers, it’s a great idea to sign your children up for half days with an instructor. It will give you as parents time to enjoy the slopes alone, have a quiet coffee in the sunshine or even spoil yourselves with a lie in; followed by family time on the slopes in the afternoon. Children will need to take a snack to ski school (pack some from the UK that you know they will like) and some pocket money, along with a spare layer, woolly hat and gloves, so it’s a good idea for each child to have a small backpack (which can be used as airport hand luggage). Smother them in a 50SPF suncream designed for high altitudes (even on cloudy days) and don’t forget the lip balm. Finally, don’t buy cheap sunglasses or goggles: ensure they have proper UV protection. While they’re growing, it’s a good idea to borrow what you can, but make sure every bit of their kit is named, whether it’s hats, goggles or ski poles, and write down your phone number and accommodation address and put it in their pocket. The best family-friendly ski resorts will have perfect beginner areas for teens making their first steps on the snow, and they shouldn’t be afraid to do so. Nursery areas will be busy with all ages, from young children to adults, and we can help organise the right ski school for your family. As they grow more independent, teenagers will want to explore the slopes on their own, we can help you choose the right place with easy areas to let them go off for a few runs. 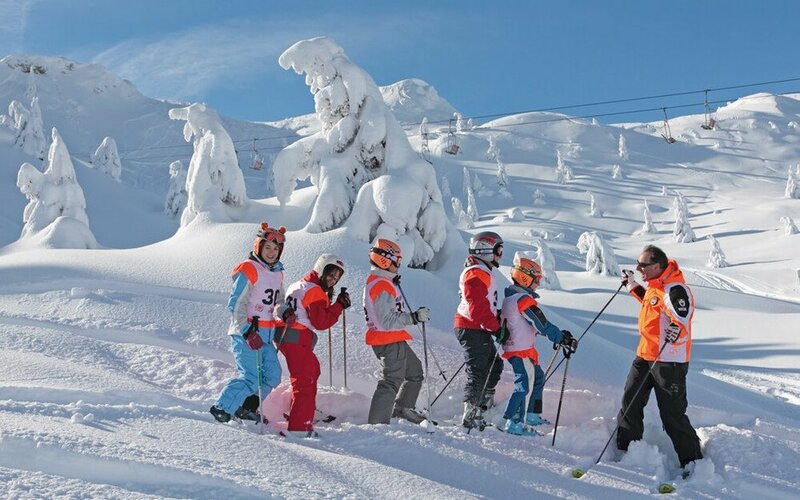 If you have central accommodation it will be an easy meeting point, as teens might want to go out to meet their new ski school friends after lifts close. To remove some of the worry of free-roaming kids, why not choose a ski resort with a car-free centre such as La Plagne or Avoriaz or one, like Zermatt, that is entirely car free? 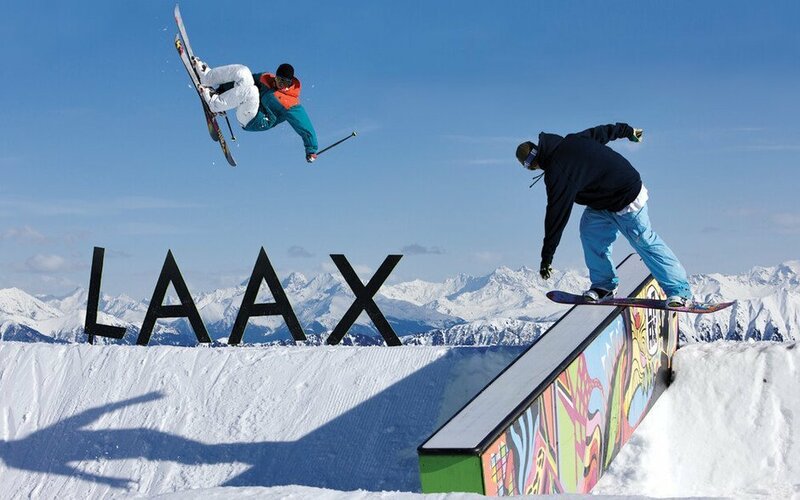 All of the best ski resorts for families will have extensive snow parks with features for all levels so your teens can practice their freestyle tricks and jumps and ski schools are now set up with instructors to help guide them through learning how to use these parks properly. 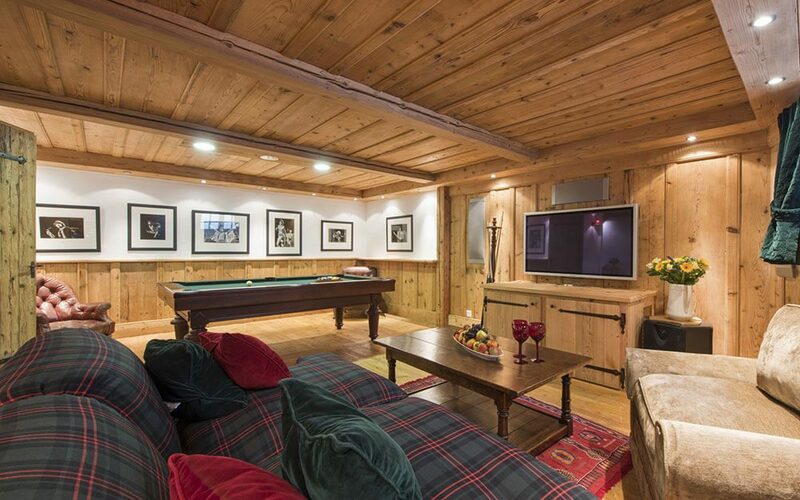 We can help advise on the best family hotels, chalets and apartments that will have facilities to help keep teenagers busy in the evenings and on snowy days; whether that’s swimming pools, snooker tables and table football, extensive games rooms or even private cinema rooms. The good news is that all ski resorts are improving their family facilities every year, so you’ll be hard pushed to find one that won’t have something to offer for everyone.